Summer .. The sunshine brings us out to celebrate, out of hibernation and back into community. The sunshine reminds us to grow and of what’s possible when we gather as a group. The warmth of the sun is intoxicating on the skin and expansive in the mind. At the end of June just a few days after the summer solstice we’ll gather at Cae Mabon to play, to dream and to dance. Nestled in an oak forest, surrounded by the majestic Snowdonia mountains and sparkling lakes, Cae Mabon is a 'Welsh Shangri-la' awaiting our arrival and providing us with a soft place to spend a few precious days. 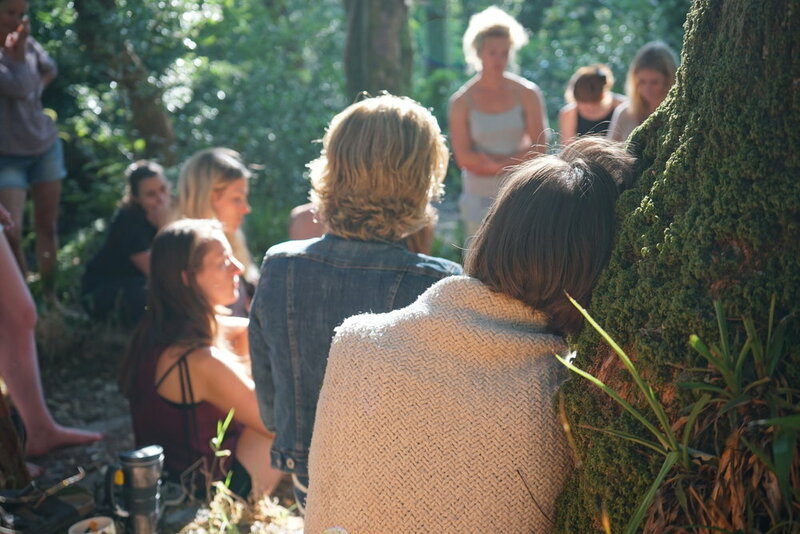 There are just 26 women at each gathering, it's an intimate group for individual attention. Your accommodation, 3 meals a day, endless herbal teas & chocolate, classes, workshops, evening rituals and ceremonies are all included. You simply have to organise your travel (the nearest train station is Bangor) Once you've booked your place you will receive all the information you'll need for a truly glorious and soul nourishing weekend. Participation is open to all female identifying women regardless of their race, ethnic origin, age, sexual orientation, religion, economic circumstance, physical appearance or body size. SATURDAY 1ST JUNE 2019 AT 10am.